Crystals are vibrational frequency devices and they are beings in their own right. These little rocks of happiness can do so many things for us from clearing blocked energy within our own body to raising the vibrational energy of our home. During this workshop you will choose (in a very special way) 7 crystals to work with on the day and you'll get to keep them as part of your new crystal team. You'll come to understand the energy of each crystal, the healing properties it has and how you can use it to positively interact in other parts of your life from romance, to finance. 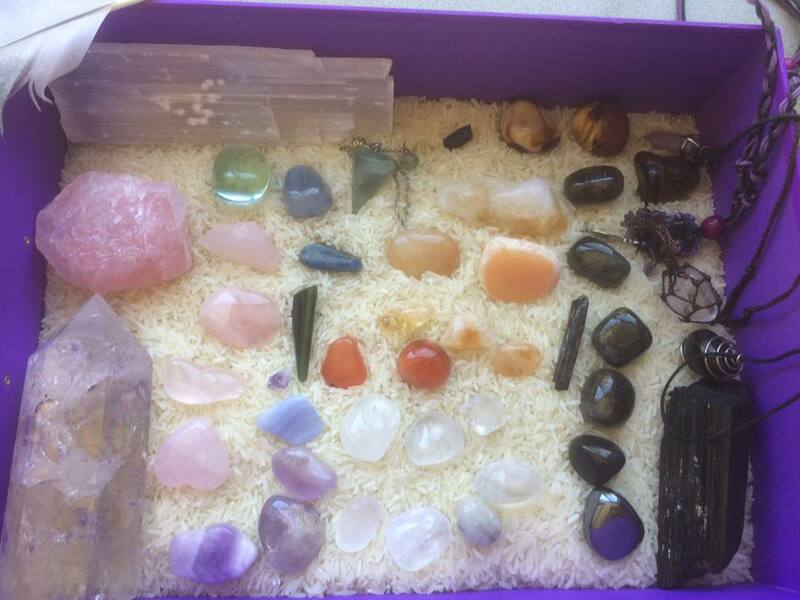 This workshop allows you to delve more into the world of crystals with like-minded people. It's a relaxed day with plenty of opportunities to ask questions and experiment for yourself, with your new crystal friends. The price for the course is $65 and this includes 7 crystals, a pouch bag, training, course material and tea or coffee. You simply need to bring your own snack and a pen. A minimum of 3 people and a maximum of 6 people per class. Private groupworkshops are also available here. Teens (13+) are welcome to join any crystal classes on the calendar as long as they have their parent/guardian participating in the class as well. Cost is the same for each person.